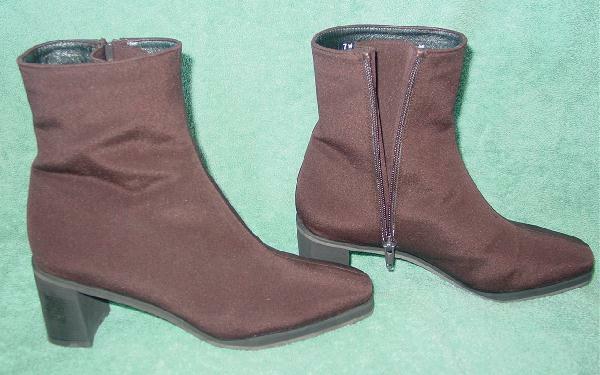 These brown fabric short (ankle) boots are by Stuart Weitzman and were made in Spain. They have a dark brown faux fur lining and insole. The inner sides have 6 3/8" high zippers with an interior fabric panel that's 3 1/2" wide at the top. 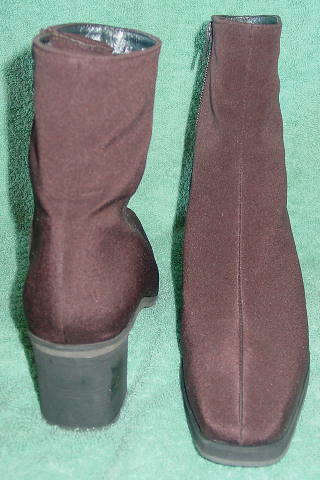 There are rubber chunky heels and nonskid soles. She didn't wear them very much because her feet grew. bottom heel to top of boot 8 1/2"